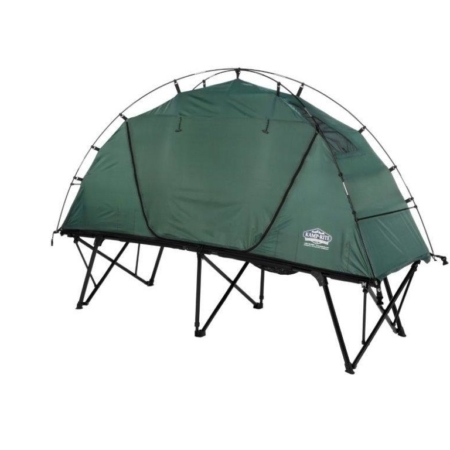 The Collapsible Series provides a versatile and compact alternative to the Tri-Fold Series. The unique 3-in-1 Tent Cots combine two separate, standard camping items (a tent and a cot) into one unit easily assembled unit. 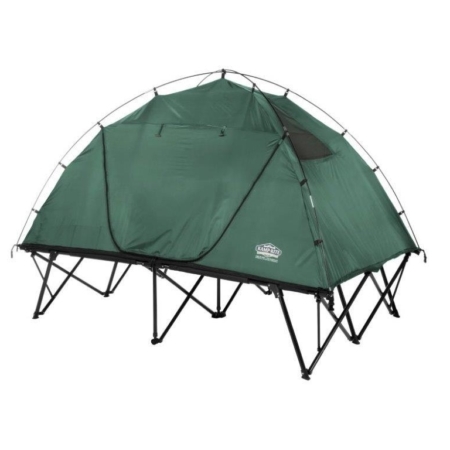 The tent top zip together to create a comfortable off-the-ground sleep shelter. When detached from the cot base, the tent top becomes a compact, lightweight one-person tent on the ground. The remaining cot base can then be used independently as a traditional sleeping cot.